Check out these sales. 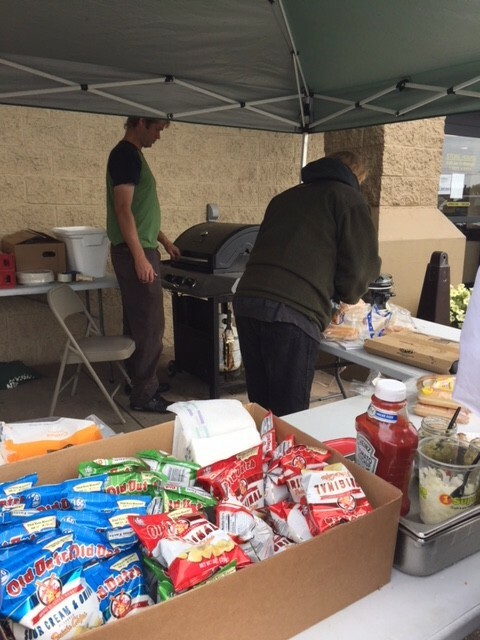 All proceeds go to UPAWS! 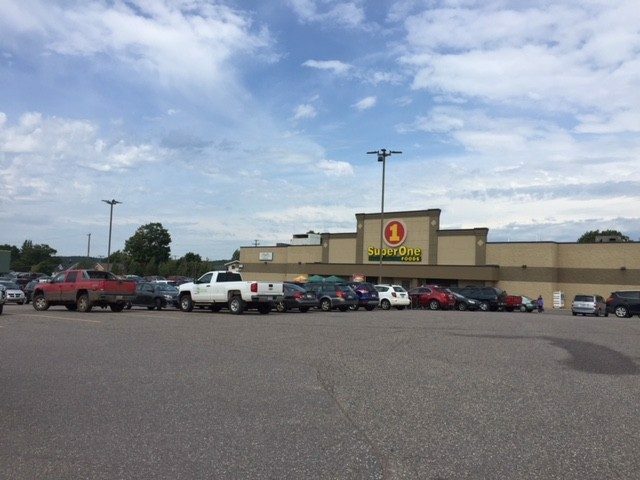 Negaunee, Michigan – August 31st, 2018 – Super One Foods in Negaunee kicked off their “Bratwurst Extravaganza” Friday afternoon. 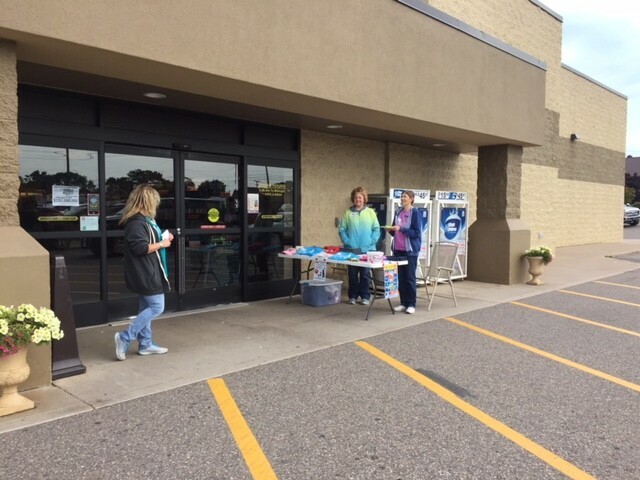 The event goes from 11 a.m. – 5 p.m. on Friday and Saturday, and all proceeds from the cookout benefit the Upper Peninsula Animal Welfare Shelter (UPAWS). 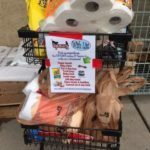 In addition to the great cause, the event also brings customers amazing deals on all of the supplies they need for their very own Labor Day cookout! 103 FXD’s Joe Duckworth was there to get the low-down on these great deals. 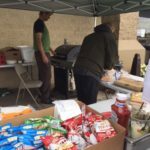 The cookout, which goes until 5 p.m. on Friday and Saturday (or while supplies last) offers bratwursts fresh off the grill for only $1. Add some chips and a cold pop for only $3 more! 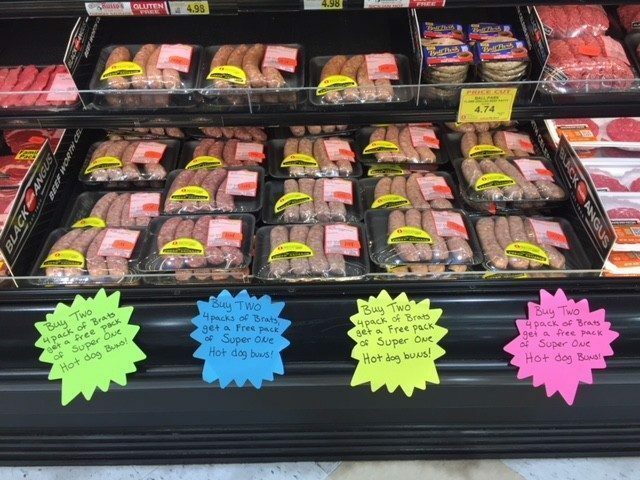 When you buy eight brats in-store (two packages of four), you get a package of hotdog buns for free! Mix and match the different bratwursts for a truly delicious lunch. 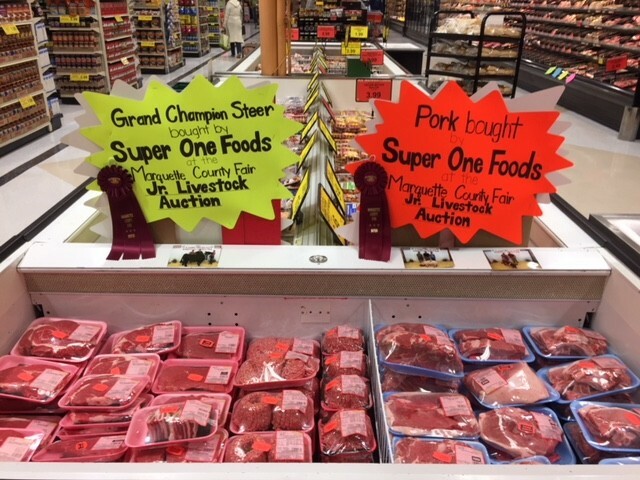 In addition to the bratwurst deals, there are also great deals on other cookout necessities like pop, hotdogs, Black Angus T-Bone steaks, fresh pork from the Marquette County Fair Jr. Auction, and more! 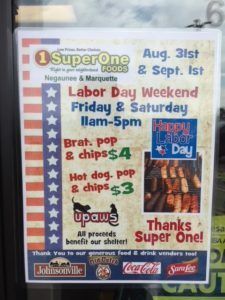 Support the animals a little more at the Bratwurst Extravaganza by participating in UPAWS raffles, buying a UPAWS t-shirt, or buy purchasing items needed from their wish list. 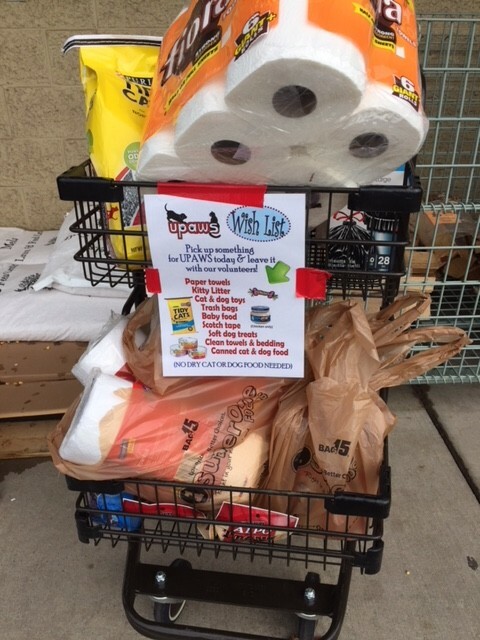 The wish list is right outside of the store, along with a cart to drop the donated items off in. 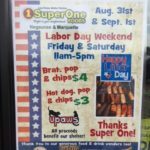 Stop in at Super One Foods in Negaunee today, just in time for your Labor Day celebration! 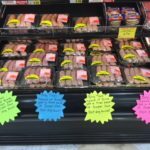 Check out these deals on brats! 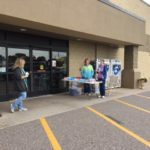 Donate items to UPAWS at Super One Foods in Negaunee. 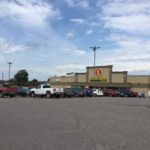 Super One Foods in Negaunee. 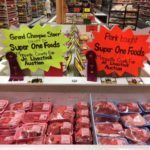 Check out these deals on fresh cuts of meat today! 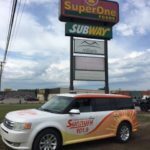 Come get a brat at Super One Foods in Negaunee! 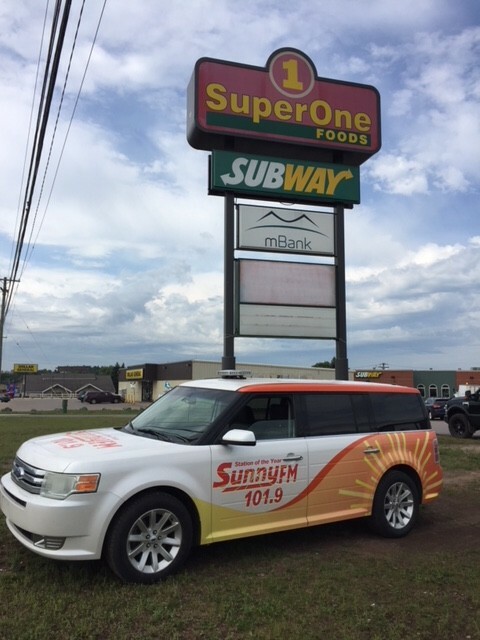 The SunnyFM vehicle outside of Super One Foods. 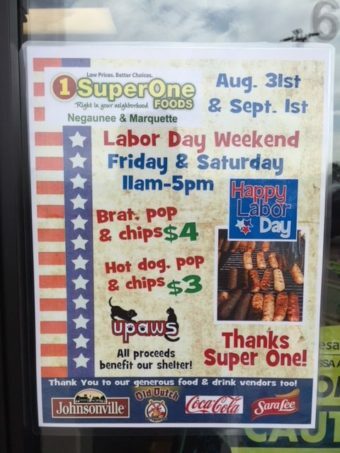 Support UPAWS at Super One Foods in Negaunee.